In this sonnet Robert Frost describes a simple scene from nature --- a spider on a flower (known as a heal-all) is holding a moth that it has captured as its prey. 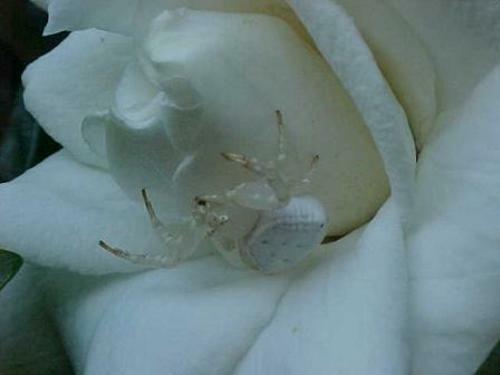 But Frost's description is filled with gothic imagery, including the fact that all three elements -- the spider, the flower and the moth -- are white, which here seems to embody, not purity and goodness, but deathly pallor. Do things happen by design or by accident?